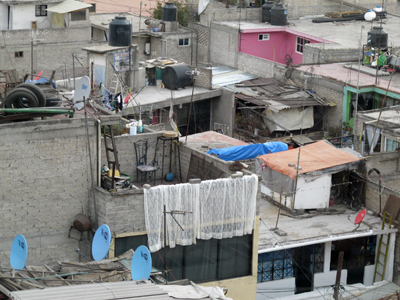 Following calls for differentiation within informalities, critical debates on binary concepts such as formal/informal and calls to decolonize ‘informality’ studies, the concept of ‘popular urbanization’ seeks to shift away from exceptionalizing and marginalizing static categories of urban form in order to recognize it as a dynamic process of contemporary urbanization. In our ongoing transdisciplinary research project «Patterns and pathways of planetary urbanization» (Future Cities Laboratory ETH Singapore) we identified a dominant urbanization process occurring in the very different cities of Istanbul, Lagos and Mexico City. In the existing literature these areas are mostly described as ‘informal’, as ‘self-built’, or as ‘slum’. This process is a major part of the daily realities of these cities, yet the existing scientific vocabulary does not seem adequate to grasp the diversity of everyday experiences in all of these urban spaces. We propose to introduce the concept of ‘popular urbanization’ into the debate to consciously and explicitly shift our perspective away from static categories of urban form and artifacts that so often serve to exceptionalize and marginalize, towards the social production process of such spaces. By opening up the interpretation and representation of such urban spaces to include a consideration of different ways of producing urban space (Kudva 2009), we aim to address the following changes frequently called for: differentiation within informalities (Roy and AlSayyad 2004), critical debates on binary concepts such as formal/informal (Benjamin 2008; McFarlane 2012; Varley 2013) and calls to decolonize ‘informality’ studies (Robinson 2006). 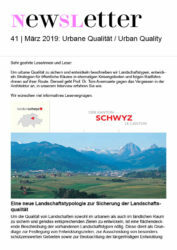 In a recent paper (Sawyer and Streule 2013) we examined in detail the empirical and theoretical use of ‘popular urbanization’ as an ordinary but nevertheless very specific process of planetary urbanization, viewing cities as consisting of multiple, contested territories inscribed by complex local histories of social agency. This has the potential to offer non-universalizing but comparative theoretical engagements with different urban spaces across space and time. This process-oriented term allows us to enrich the debate on urbanization in order also to challenge and pluralize the overall applied macro-narrative, which commonly is centered on economic development. Benjamin, Solomon (2008). ‘Occupancy Urbanism: Radicalizing Politics and Economy Beyond Policy and Programs’, International Journal of Urban and Regional Research 32(3): 719–729. Kudva, Neema (2009). ‘The Everyday and the Episodic: The Spatial and Political Impacts of Urban Informality’, Environment and planning. A 41(7): 1614. McFarlane, Colin (2012). 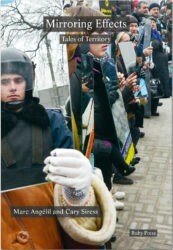 ‘Rethinking Informality: Politics, Crisis, and the City’, Planning Theory & Practice 13(1): 89–108. Robinson, Jennifer (2006). Ordinary Cities: Between Modernity and Development. Routledge London. Roy, Ananya and Nezar AlSayyad (2004). Urban Informality: Transnational Perspectives from the Middle East, Latin America, and South Asia. Lexington Books. Varley, Ann (2013). 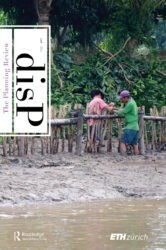 ‘Postcolonialising Informality?’, Environment and Planning D: Society and Space 31(1): 4 – 22.